Rashi makes the comment: "In its appointed time, even on Shabbat; even in a state of impurity"; the latter reinforcing the view of the earlier sages (Sifrei 65, b. Pesachim 77a) that even when the nation, the Kohanim or the implements used are impure, the Pesach offering is brought in its appointed time: the fourteenth of Aviv (Shemot 12:6) or Nissan in the month names used since the time of the exile in Babylon. The Preacher, the son of David, who was king in Jerusalem said, "To everything there is a season, and time for every purpose under heaven" (Kohelet 3:1, KJV). The Hebrew text here uses two words: , season and , time; the second of which is used throughout the following seven verses for the repeated "a time to ...". is used to refer to the seasons of the biblical feasts, so that Sukkot is referred to as , z'man simchatenu, the time of our rejoicing. Yet neither nor , both of which have the sense of a particular time or season, convey quite the meaning of the word used in our verse: , which has a focus not only upon a particular time for an event to occur, but the idea of an appointment: an agreed, scheduled time when two parties will meet to perform some function together or carry out an appointed task. 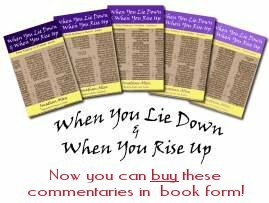 HaShem starts by saying: "The L-rd's appointed times which you shall proclaim as holy convocations - My appointed times are these ..." (Vayikra 23:2, NASB). The feasts form what a modern Jewish writer called "Sacred Seasons", a cycle of laughing, crying, sharing, rejoicing and remembering before the L-rd; a set of physical and spiritual rituals and celebrations to act as a giant mnemonic device for rehearsing and refreshing not only G-d's goodness to our people in the past but the promise of His continued faithfulness in the years to come, until Yeshua returns and beyond. Carefully arranged, at the natural breaks in the agricultural year, the feasts require our people to step back from work and take time with the L-rd; time to relax and remember, time to embrace tradition and commit for the future. In the same breath as describing the big feasts, the text uses the same word to describe the weekly shabbat - a day of rest each week, the one day in seven - that is so necessary for our bodies to function and our minds to clear and focus on G-d. He made us and He knows the exact parameters that our physical bodies work within. If we ignore the maker's instructions we will wreck the machine; more importantly, when we miss an appointment with G-d, we miss out on our relationship with Him. Application: Have you been missing out on your regular time with G-d; to read and study His word, to spend time talking with Him and sharing times of worship with others? Now would be a good time to reconnect with the inner rhythm that G-d has put in each of our hearts and meet with Him at the next appointed time.